What's the backstory behind Lead Me Home? 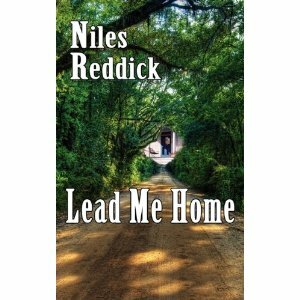 Lead Me Home was inspired by a moment of anger I had at work when I lived in Tennessee. I was mad because someone had been hired when I thought the money needed to be spent elsewhere. So, I thought this would be a good story---that a character gets angry and decides to leave and take another position. But I didn’t want to start with that. I wanted it to build to that, so I started with the narrator going home to a funeral of a great aunt he dearly loved. He realizes family is getting older and could be gone in the blink of an eye, and it makes him begin to think about going back home. The great aunt who died is really a combination of relatives---my grandmother, a great aunt, and an old maid cousin of my dad’s---sort of all wrapped into one. I didn’t think much about publication when writing Lead Me Home, but when I didn’t feel like writing, I would look up publishers and agents. I guess, like the first book, I began querying agents and publishers before the first draft was complete. In fact, with Road Kill Art and Other Oddities, my first book, a collection of stories, it was due to the publisher on Monday, and I wrote the last story that weekend. I did that with Lead Me Home as well, but I was less worried about being published because I knew it would be; it was more about with which publisher and if I would get an agent or not. I actually had two offers from agents, both I decided against for various reasons, and the same was true with publishers. I had four small publishing companies and had to make a choice. To me, I chose based on distribution and marketing more than anything else. I think that’s the key, and while I am normally a very humble person and not much interested in self promotion, I have found you have to toot your own horn. The days of others doing that for a writer are long gone. I had friends who had agents and big publishers, but they didn’t get very much attention at all. I think it’s important to try, but it’s certainly not for everyone. You have a lot of editing experience. How do your editing skills help with your own writing? I was editor of “The Distillery,” a literary journal that was distributed by Ingram, and I’ve done some editing for university and main stream presses. I have a pretty good eye for detail and believe it or not, my writing and editing are really separate experiences I bring to something I’m working on. When I’m writing, I do compose on the computer, and there are times when I don’t even see the computer screen when I’m writing. After I’ve written a draft of something, I normally print it out and read it very slowly and carefully, making all sorts of marks to revise later. I think that helps because I have a good grasp of the rules. A lot of writers starting out who haven’t read a lot or who haven’t written a lot, other than maybe in a college English class, don’t have a good grasp of grammar. It is still important, and I think agents and publishers would much rather read a well-written query and first draft than one that isn’t, though I’m sure there are examples of poorly written ones that made it. The Southern writers have influenced me the most, I would say, but the ability to tell a story, to tell stories within stories, seems to me to come from Cervantes in Don Quixote. Sometimes, I think the subplots have as much meaning, if not more meaning, than the overall plot itself. I think this is true in Twain’s The Adventures of Huckleberry Finn, too, and interestingly, he mentions Quixote. There are similarities there. The stories within stories being important are true in Lead Me Home. The overall plot and story are good, but some of the stories within the overall story are my favorites and have more meaning to me than the novel itself. I described a tombstone in Lead Me Home that read “Her feet don’t hurt no more.” That’s a very small detail and seems insignificant, but it’s not. I don’t know whose grave it is, but the tombstone is in Sunset Hill Cemetery in Valdosta, GA. My mother was attending a funeral and called me on her cell phone from the cemetery to tell me I needed to use that in a story. As any good son does, I listened to my mother, and all kidding aside, it was odd to me that someone put that on a tombstone. But the fact of the matter is that even a detail as minor as that one has a story behind it. Of course, the reader wouldn’t know this story, but there are multiple stories within the story that are equally important. What book are you an evangelist for? I don’t think there’s one specific book that I’m an evangelist for, but since I’ve taught literature for years, I am fairly evangelistic in my classes about literature in general. Each offers something very unique. I admit that I love the Greeks and ancient literature, and Cervantes, and believe it or not, I do love the early Americans such as Franklin and Jefferson even though they are often dry reading. Probably the Southern writers have had the most influence on me are the modern ones---Faulkner, O’Connor, Welty, Lee Smith, Clyde Edgerton, Janice Daugharty, and others. What is your favorite thing about the writing process? Your least favorite? Born in 1964 in Valdosta, Georgia, Niles Reddick grew up in the small town of Hahira, Georgia. He graduated from Valdosta State University with a B.A. in Philosophy, University of West Georgia with a M.A. in Psychology, and Florida State University with a Ph.D. in Humanities and an emphasis in English and Literature. His dissertation, Eccentricity as Narrative Technique, included interviews with Lee Smith, Clyde Edgerton, and Janice Daugharty. Reddick taught English and Psychology at Thomas University in Thomasville, Georgia, and Georgia Military College at Moody AFB, Georgia, before accepting an English teaching position at Motlow College in Lynchburg, Tennessee. At Motlow, he coordinated the Writer’s festival and secured such renowned writers as Michael Lee West, Manette Ansay, Jerry Bledsoe, and Sharyn McCrumb. He also served as Editor of The Distillery for two years, taking the journal from a regional publication to an international one distributed by Ingram and one that received recognition and acclaim from The Literary Magazine Review and Library Journal.